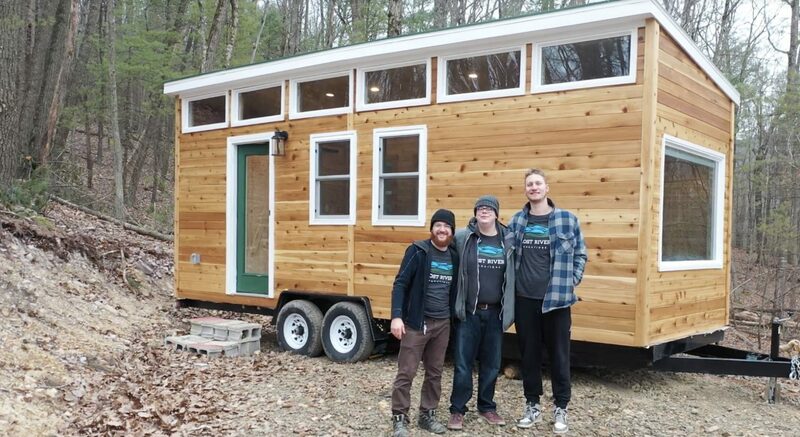 For the past two years, a trio of Gallaudet University graduates has been working with deaf business owners, artists, and builders to launch a vacation resort deep in the forests of West Virginia. Two and a half hours outside DC, Lost River Vacations is set to be a getaway for anyone who wants to leave the city for a weekend but still have access to high-speed wi-fi. Everything visitors will see—the houses, artwork, website, and photography—will have been made by deaf people. Jane Jonas, 36, one of the founders, says the idea started when she was having a beer with friends Shawn Harrington and Andrew St. Cyr. All three, who met through mutual friends at Gallaudet, are local business owners and had considered partnering on a bigger project for years. Jonas has operated a creative agency for more than ten years, Harrington owns a house-flipping business, and St. Cyr runs a film-production company. The nostalgia gave birth to the idea of an eco-friendly getaway for both kids and adults. “A place for all kinds of people,” says Jonas. She immediately started looking for land that might fit the group’s vision. While Jonas and her wife were on vacation in the Outer Banks, their resort lost power. Instead of going home, the couple searched Airbnb for other getaways outside of Washington. They drove more than six hours to the Lost River Hideaway and arrived to find a serene cabin far from urban society. While much of the resort is still in the works, the group has already secured 22 acres of forest next to Lost River State Park. Harrington has already constructed one tiny house, which is on-site and available for rental, and they’ve received zoning approval for another three. When it’s finished, Jonas says, the site will have up to ten tiny houses, a spa, a sauna, pools, a disc-golf course, and a beach right on the nearby lake. “We want this to be a family resort where you can bring your family, bring your dog,” she says.